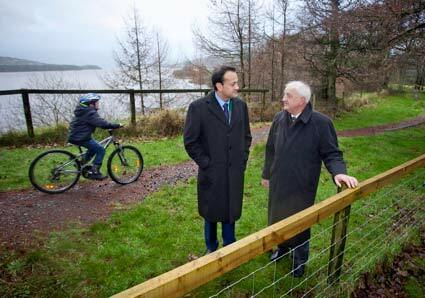 The new Blessington Greenway was officially opened by Tourism Minister Leo Varadkar yesterday afternoon. This walk links the historic town of Blessington with the Palladian mansion at Russborough House. Dean O’ Connor (11) from Blessington, Leo Varadkar TD, and ‘The Greenway’ Project Manager, John Horan at the launch of the Blessington Greenway. 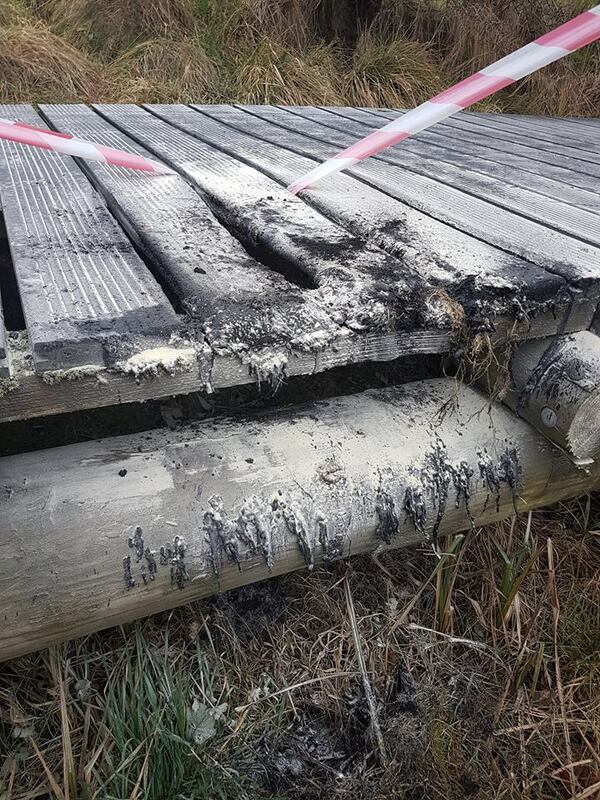 Built on land made available by the ESB, the trail covers 6.5kms of walking and cycling routes through the forest and woodlands taking in some spectacular scenery adjacent to the shoreline of Blessington Lakes. 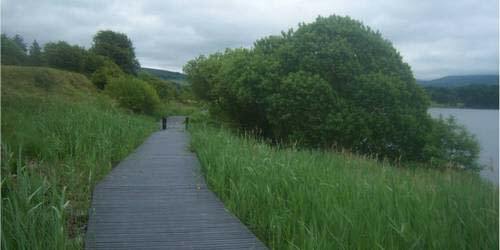 The Greenway commences at Avon Ri Activity Centre at the southern end of the town and weaves its way along the shores, crosses an ancient medieval Ringfort, uses the footpath along part of the N81 before turning back into the forest at Burgage Moyle lane. It then crosses the Valleymount Road (R758) and makes its way to Russellstown Bay adjacent to Russborough House. Along the way you will have the opportunity to appreciate the magnificent scenery and wildlife in the area. Click here to download a map of the route.